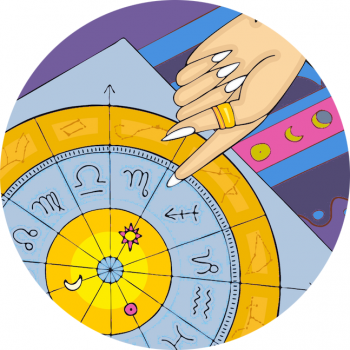 People with Virgo Rising meet the world with an earthy practical approach. Somewhat shy, those born with Virgo rising tend to analyse their surroundings, detail orientated they will pick up on things others brush over or miss altogether. They can come off as cool or stand-offish, and might sound a little critical, depending on their Mercury sign, which will be the ruler of the chart. A service oriented sign, those born with Virgo rising might feel the need to approach things from a standpoint of how they might help and what they can offer a situation, which will be a lot. They may worry, or be anxious in new situations. Those with Virgo on the ascendant will take an interest in health and physical wellness – they are very body aware, tuned in, and will most likely be interested in exercise. They could be picky and particular about food, too. With Virgo on the ascendant at birth you’ll probably have a clean look about you. Because you pay attention to your health you could radiate a sense of wellness, and you’ll like to be neat and tidy – hair pulled away from your face, not too much make-up, you keep it simple, pure – pristine, and discerning. Virgo Rising Fashion Style – Pure And Simple? Good times out on the #pureandsimpletour! Whether or not they dress modestly there will be something sweet or twee about the way they put themselves together, and could find that they suit earthy colours, especially those found at harvest time, so creams, browns and caramel tones.